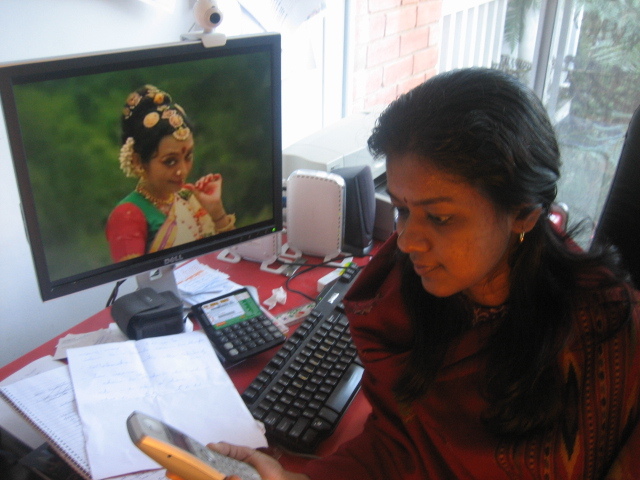 SYDHWANEY FEATURES dancer personified Padmasree Prof Sudharani Raghupathy. Sydhwaney finds Prof Sudharani Raghupathy far away from the lights of the stage, in a private moment. She talks to her student Aruna Subbiah, in Sydney, revealing how dance adopted her, the importance of life experiences as she completes 62 years in the field of dance on 17 August 2009. She generously offers tips to dance teachers on themes and varnams that can be taught to young dance students living abroad across language and cultural boundaries and more…. INTERVIEW WITH PROFESSOR PADMASREE SUDHARANI RAGHUPATHY – Please wait a few moments while the file downloads. The interview runs for over 30 mins. ARUNA SUBBIAH CONDUCTS BHARATHANATYAM CLASSES FOR STUDENTS OF ALL AGES IN SYDNEY. Aruna Subbiah can be contacted at E: arunagmn@yahoo.com for classes and professional performances.